Projects range from churches, office blocks and commercial buildings. If you would like a free scaffolding estimate then please contact us to discuss the best scaffolding solution for you. Our domestic services range from residential flat to a large stately home. We have many years of experience in providing domestic scaffolding solutions, including numerous projects undertaken in the area. Offering new build scaffolding services from large new built projects to a single home. For all our contracts we consider all aspects of scaffolding including the design, erection and dismantling. Leeds Scaffolding (Yorkshire) Ltd is one of the most reliable scaffolding companies in the area, ensuring the safety and access for all the trades working within the construction trade. We offer all scaffolding services to the trade, commercial, domestic, small medium and large size businesses. We use aluminium scaffold tubes and beams for spanning roofs etc. and work is carried out both on commercial contracts and private property / housing for eg. roofing, pebble dash etc with respect for paving, tarmac and gardens etc. Leeds Scaffolding (Yorkshire) Ltd is a professional scaffolding contractor offering all scaffolding services from traditional scaffolding, shoring work, hangers and temporary roofs. We offer a full scaffolding design service to all our clients with no obligation. 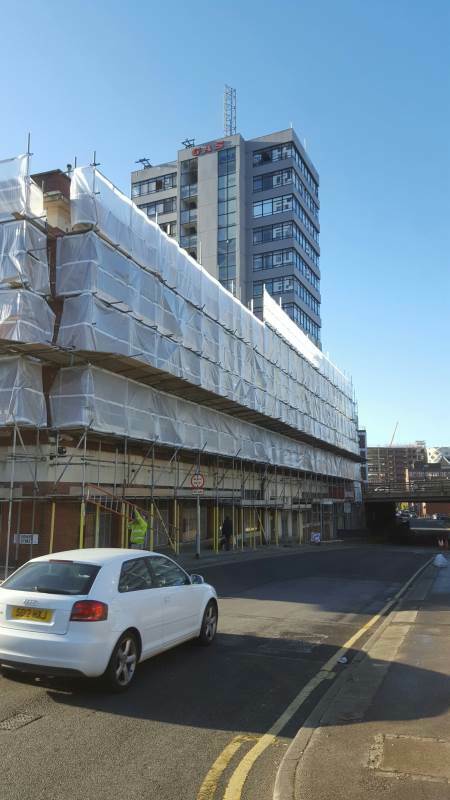 Leeds Scaffolding (Yorkshire) Ltd has years of experience in providing domestic and commercial scaffolding solutions, including numerous projects undertaken in conjunction with well known companies. You may be planning a self-build project, such as an extension, renovation or new build, and require the services of an experienced scaffold company and its team. We take on work on existing houses and brand new constructions, in both conventional and timber-frame profiles. If you require further details on our scaffold tower or scaffold equipment please don’t hesitate to contact us. All work is carried out with the customers needs in mind, from customer designs to on site managers, we always ensure that all of our work is carried out with the utmost professionalism and to the highest standards as we pride ourselves on keeping our customers happy and delivering their requirements. For more information, give us a call now on 07769668722 or 01132638347 or view our contact page to send an email direct to us. Take a look at one of our previous projects we’ve worked on.